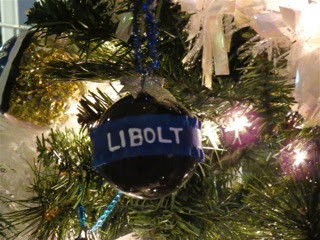 Each year for the past now dozen years, as the Christmas holiday approaches, I've marked this date with great sadness. Today, December 19, 2015, marks another anniversary of the day my best friend for 57 years, Larry Moore, passed away. 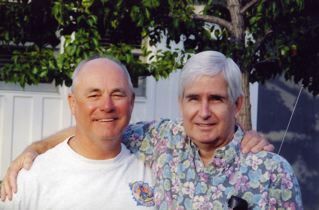 Those of you who have been frequent readers will recognize this story, and you can read about it in greater detail in the entry I posted two years ago, HERE. 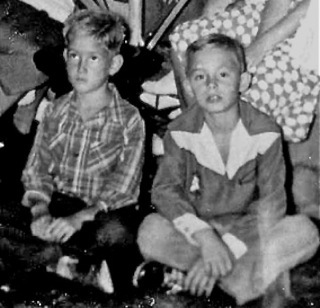 Larry Moore and I were best friends for most of our lives - ever since that day my mother and I saw him jump off his garage roof, which was preceded with a cheery exclamation, "Hey, look at me! ", and off he went, landing on the little grass strip between two concrete runners. Yep, that was the beginning. We grew up together, closer than most brothers, and shared almost every special moment in our lives. We dated some of the same girls, participated in some of the same sports - although he was a much more accomplished athlete than I. Although not a man of great physical stature, he excelled in football, basketball and water sports - swimming and water polo. In the case of the latter two, he continued to participate in those sports until late in his life, and continued to excel. 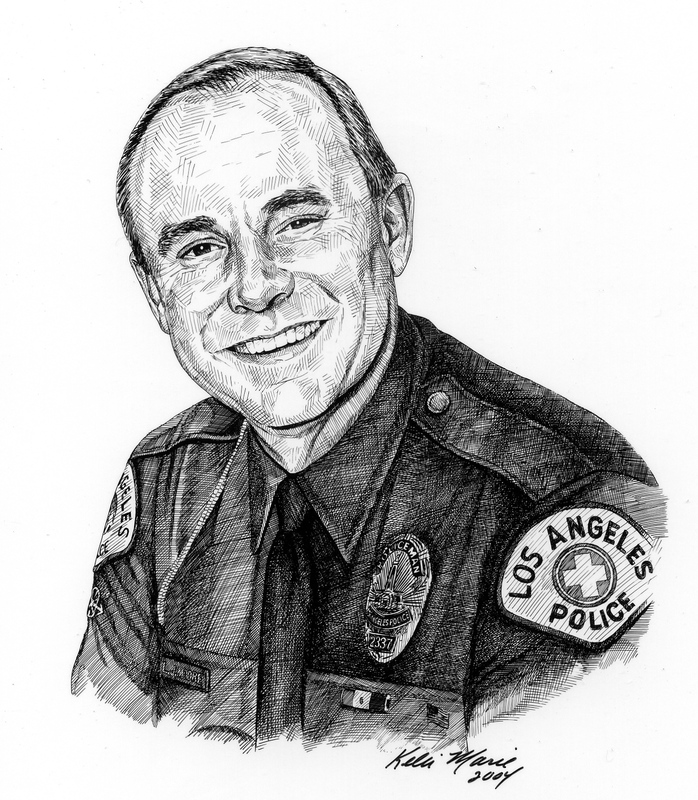 During his 31 years with the Los Angeles Police Department he continued to swim and play water polo until the day he retired. 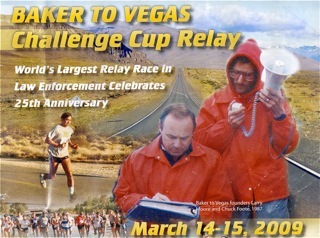 As Athletic Director for the LAPD for the last fifteen years of his career, he and his partner on the job, Chuck Foote, created the Baker to Vegas Challenge Cup Relay - one of the most grueling footraces in the world. He created an event called "The Toughest Cop Alive", in which competitors would engage in eight individual events in one day, things like swimming, running, rope climbing, weight lifting. It's truly ironic that, during his six-week battle for his life, he was, indeed, "The Toughest Cop Alive." My friend died in Las Vegas following six weeks in the Trauma Intensive Care unit of a hospital as a result of a solo motorcycle accident on a lonely desert road as he headed home from a visit with friends who lived just outside of Las Vegas. We'll never know what caused him to crash - maybe it was inattention, trying to tune his radio - but whatever it was, he missed a turnoff, continued on up a grade to a point where the desert road leveled off, crossed a double railroad track, then made an immediate left hand turn. 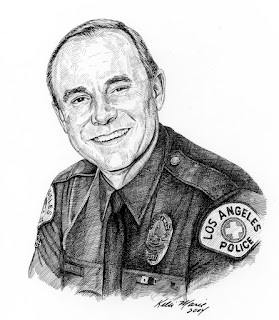 Larry didn't navigate the turn, layed the motorcycle down out in front of him as he had been trained to do as a motorcycle officer with the LAPD, and began to slide. At one point his tires slipped off the smooth, raised double yellow line onto the weathered, coarse asphalt, which just reached out and grabbed his tires and slammed him to the ground like a rag doll. Foreign tourists, themselves lost on that same road, saw the dust and rushed to his side. Still conscious, he identified himself and told them he was badly hurt. They summoned a railroad work crew that had been working on those tracks nearby, who had the wisdom to call for a helicopter, which transported him to the closest hospital - in Las Vegas, about 70 miles away. I held his power of attorney for health care, so was called immediately. I drove to Vegas as quickly as I could, arriving the next day, not knowing what to expect. What I found was my friend near death from injuries one might associate with a beating with a baseball bat - fractured ribs, fractured transverse processes of the spine, a broken hip socket and - as was discovered when he first arrived at the hospital - a torn descending aorta. 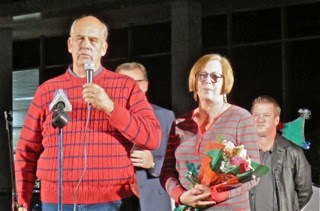 Thus began a six-week vigil by his side in that hospital room as the staff tried every trick in the book to bring him back to us. And, eventually, it looked like he might actually make it. Twelve years ago on this date I left the hospital just after 6:00 p.m. after having spent the past dozen hours at his side. He'd had a tough day following an emergency surgery the evening before. He seemed to be safe and stable in his room and the staff was busy completing the paperwork about this latest emergency, so I headed back to my hotel with a stop at a Wendy's for some takeout food before settling in to write what had become a regular email report to his many friends. But, before I got five minutes down the road I was recalled to the hospital. When I arrived I found his attending physician and a half-dozen associates in his room. He had suffered a cardiac arrest - just as he had the evening before as he was being wheeled in to the operating room for that surgical procedure. This time it was very grim. I stood in the doorway next to his doctor as she orchestrated many attempts to bring him back. She would give directions, the staff would respond, then look at her for more instructions. Finally, after one more attempt with a defibrillator, they looked at her... then at me... and I knew it was time to stop. At 6:37 p.m., December 19, 2003, my friend lost his fight. I spent the next several hours notifying his family and closest friends. 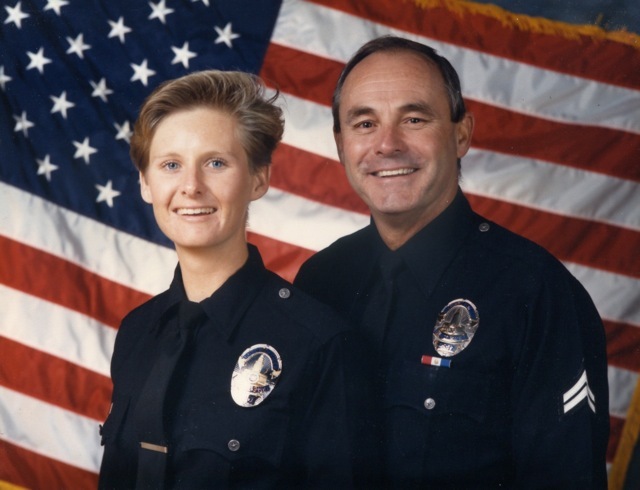 Among the first calls I made was to his eldest daughter, Kara, who proudly followed her father to the LAPD. Before I left the Trauma Intensive Care unit every staff member on duty sought me out to offer their condolences to me, and to his thousands of friends. During the six weeks he was there they had grown to admire and love my friend, and the fighting spirit he demonstrated every day. 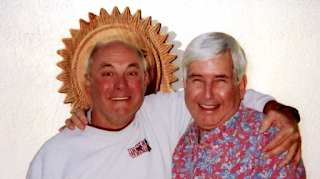 As my sweet wife said that night as we discussed Larry, "He just made everyone around him feel loved." I then decamped to my hotel room and wrote the email to his friends that I never wanted to write. 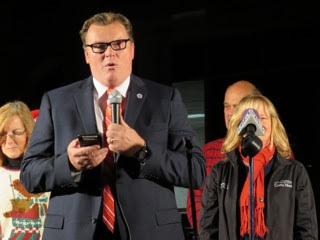 What had begun six weeks earlier as a nightly email communication to a handful of people ended up being communications relayed among literally thousands of people, including one dear friend who was reading them in Antarctica. So, on this sad anniversary, let me remind you, one more time, to tell the people you love how you feel. Don't wait, because you just never know what kind of curve is ahead on the road of life. And, as always, I want you all to know how grateful I am for your readership. Not all of you agree with what I write on these pages, but you continue to read - thank you for that. This is the final photo of my friend and me. He was a wonderful man and I miss him every day. According to the press release, the City Council adopted a new Field Use and Allocation Policy (FUAP) last July to provide a clear and concise set of rules and regulations regarding field usage. As those who have followed this issue know, many youth sports leagues have long-bemoaned what they perceived as a severe shortage in playing fields in our city. As part of the process for the new FUAP the City conducted an audit of the sports leagues. Apparently the paperwork submitted by these five sports leagues failed to meet the guidelines set forth by the new FUAP. Inconsistencies involved residency issues and the percentage of the league participants that met the requirements of the FUAP. 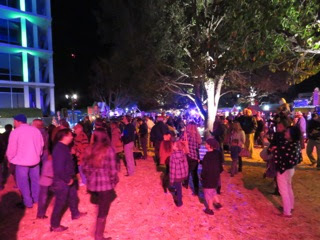 According to Travis Karlen, Manager of Parks and Community Services, "The policy was created to ensure that Costa Mesa residents and children who play in recreational programs are at the top of the list when it comes to who gets to use our fields and resources." The field use changes become effective next fall, so the groups have sufficient time to find other options. According to Karlen, "We are letting these groups know they are out of compliance now so that they have enough time to look for other fields for their participants to use." City staff and ambassadors will continue to enforce the Field Use and Allocation Policy and audits during the spring 2016 season and in subsequent seasons. During their last meeting of this year the Costa Mesa Planning Commission threw a couple curve balls, just to keep us all on our toes. 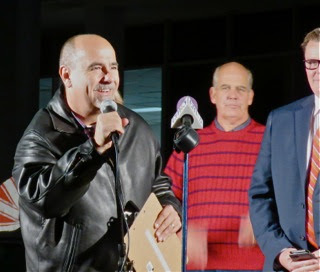 One anonymous person spoke during Public Comments to remind the commissioners and the audience that proponents of the Smart Growth Initiative will be collecting signatures to place it on the November, 2016 ballot for the next three weeks. She reminded us to go to www.costamesa1st.com for more information. She told us that tables will be set up on the following days at each of the following venues, all from 9:45 a.m. - 3:00 pm. 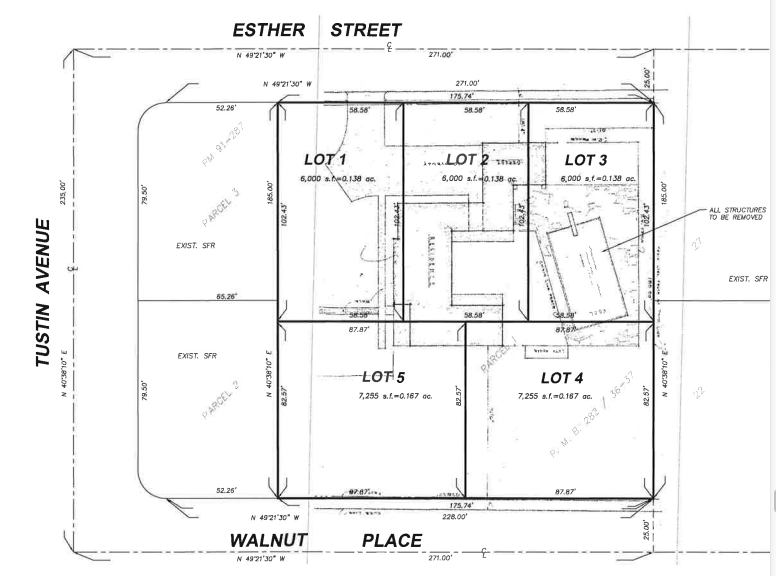 Public Hearing #1 - the request for a Tentative Tract Map to carve up a nice piece of property in my neighborhood at 410 Walnut Place into five (5) individual lots for future sale and development - unexpectedly got very interesting. Following the brief staff report by planner Chelsea Crager in which she explained that all five lots met all current city standards - three (3) measured 6,000 square feet and the remaining two were 7,200 and that no code deviations were being requested and a presentation by the property owners representative, Civil Engineer Rob Hamers - who explained that he didn't think it was fair for the property owner to be required to do a soils study and a drainage plan - several nearby neighbors stepped to the speaker's podium to express their concern. 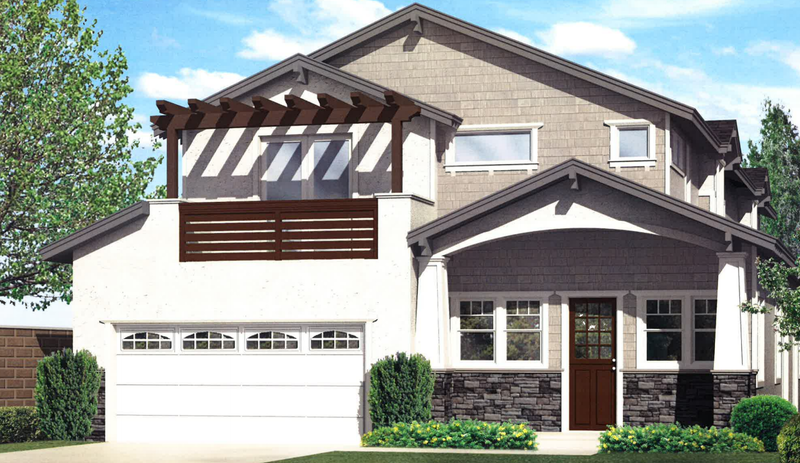 Of the fourteen (14) speakers who addressed this issue, eleven were nearby neighbors and they all opposed five lots being created for a variety of reasons. However, one common thread was that it would ruin the character of the neighborhood. One family member spoke on the reason for the requested subdivision - to provide funds for the maintenance of critically ill family members. In his response to those concerns Hamers rather cavalierly dismissed most of them as "irrelevant" - and made few friends with that observation. 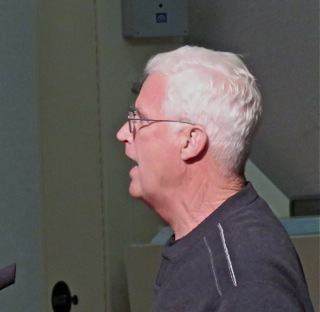 Some of the speakers implied the five lot proposal was just about money, ignoring expressly stated views of the now-deceased property owner, who said it would be split into four lots. Family members disputed that presumption. In the end, after ninety minutes of discussions, it all boiled down to, as Commissioner Colin McCarthy put it, a question of compatibility. 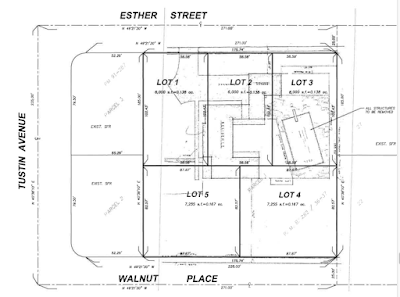 The proposed five lot split would not be compatible with the neighborhood. A majority of the commissioners agreed with the neighbors, so when the motion was made it was to deny the tract map as presented without prejudice, which means the owners can massage the plan and re-submit it without waiting for six months and paying new fees. 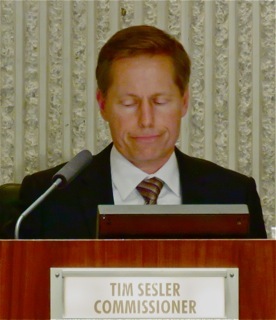 The commission passed it on a 4-1 vote, with Tim Sesler voting NO. 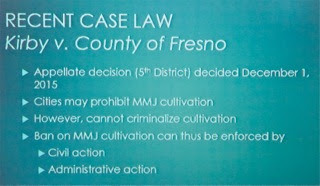 And, of course, they can appeal the denial to the City Council in a week. Public Hearing #2, the proposal to develop two condo units at 217 Cabrillo, with one of them "fronting" on the alley that separates that lot from commercial development on 17th Street near Orange Avenue, also generated some significant discussion. Several of the commissioners struggled with this one because of the alley orientation of the rear unit. 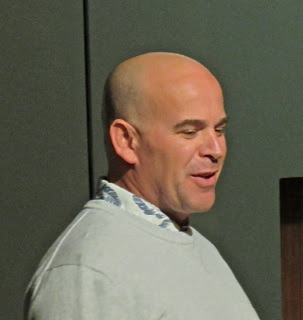 McCarthy bemoaned the lack of guidance available within the codes regarding alleys. In the end, following 70 minutes of discussion, the commission voted, 3-2, to approve the project. 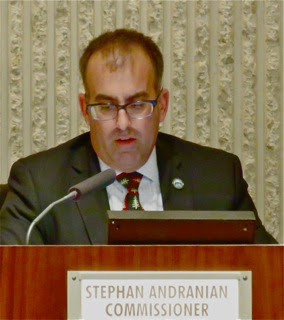 McCarthy and Stephan Andranian voted NO. McCarthy asked Assistant Director of Development Services Claire Flynn for a memo regarding alleys - how they are viewed differently than streets, etc. 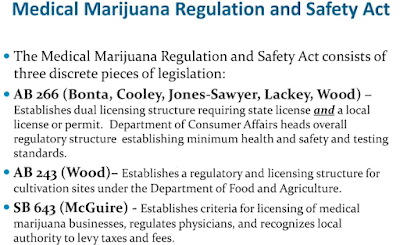 Following a short break Public Hearing #3, which is a state-forced ordinance dealing with the prohibition of cultivation of marijuana, was discussed. 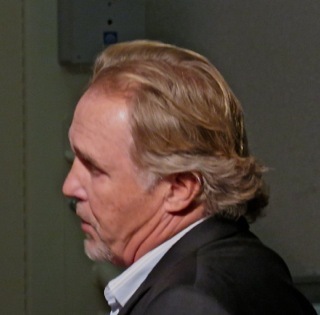 During the discussion Vice Chair Jeff Mathews asked perhaps the most cogent pair of questions. First, is this a "now or never" situation? 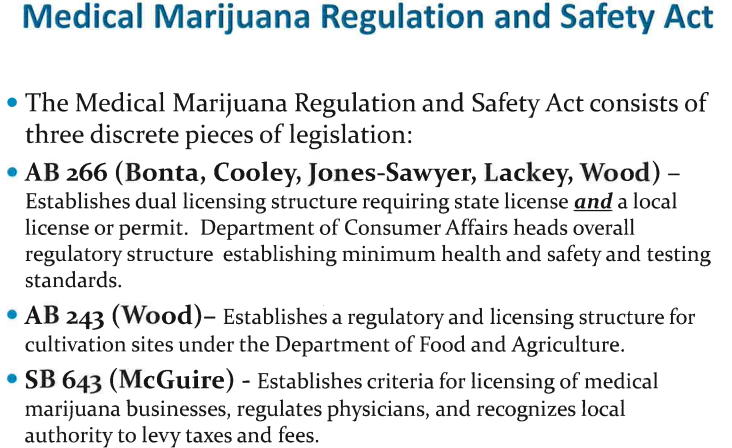 If the City doesn't pass this ordinance before the state-imposed deadline of March 1, 2016 will it be abdicating all control of this issue to the state? The answer from staff was "Yes". Second, if this ordinance is passed may the City later modify and soften it later? The answer was also "Yes". The commission passed the item, 5-0. There is brand new - two-week old - case law on this issue. And, the second chart shows the timeline to meet the state deadline. Next up was Public Hearing #4, the request by the wildly successful new restaurant, The Halal Guys, to extend their operating hours, to midnight Sunday - Wednesday and until 1:00 a.m. Thursday -Saturday. This item had been heard before, but was continued to this meeting so the operators could come back with a modified plan. McCarthy had a conflict so recused himself. 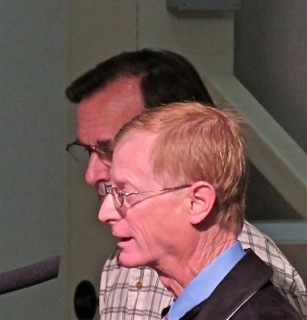 After 45 minutes of discussion the commissioners voted, 3-1, with Andranian voting NO, to approve the request, but with the proviso that the issue be evaluated for three months to determine the effectiveness of the new operating hours and be reviewed at the end of that time for the possibility of revoking the minor conditional use permit. The operator reportedly had already made many changes to satisfy nearby neighbors regarding trash and noise. Parking is an issue, but the property owner is experimenting with complimentary (free) valet parking to resolve the issue. Which brings us to the final item on the agenda, Public Hearing #5, the request for valet parking at that center. Manager Jason Ball outlined his plans to use free valet service - it will cost him $3,000 per month - to help mitigate the ongoing parking issues for the entire center. Following a short discussion the remaining commissioners passed it, 4-0. 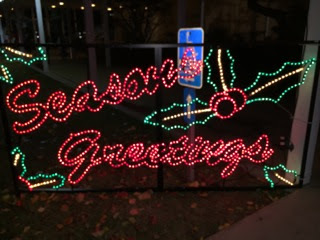 The meeting ended at 10:20 p.m. and will reconvene next on January 11, 2016. 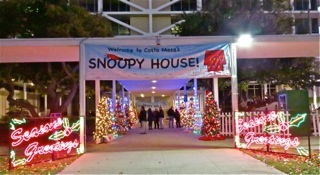 Great Turnout For Snoopy House Launch! 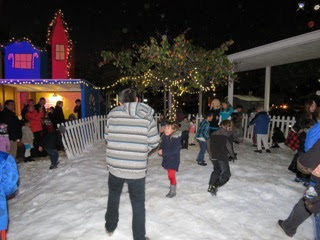 The opening evening of the Costa Mesa Snoopy House event was a huge success, with several hundred people attending to enjoy great family fun - Snoopy, train rides, music, snow and Santa, too! As always, photos are much better than words, so I'll just fill in the blanks for you. City CEO Tom Hatch kicked off the evening by welcoming the throng and giving much-deserved credit to members of his staff who put this event together. 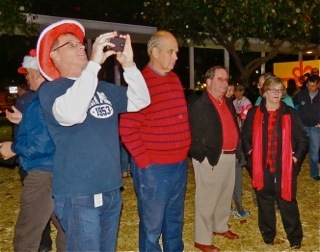 Mayor Steve Mensinger, Iphone tightly grasped in his hand, then introduced Jim and Linda Jordan, the long-time Costa Mesa residents who, for more than 40 years, had the Snoopy House display at their Eastside home over the Christmas holidays. 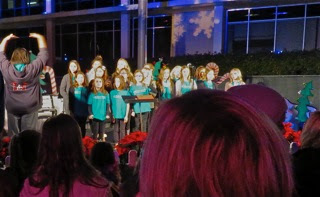 When it appeared that they would have to cease operations the City worked with them and, for the past five years, has presented this wonderful holiday experience on the front lawn of City Hall. The Jordans took a few minutes to welcome the crowd, and to thank the City and the staff for making this possible. 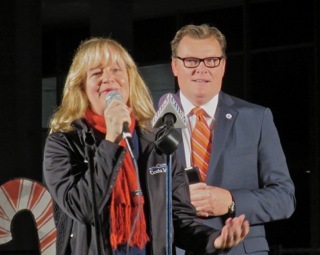 Councilwoman Katrina Foley also thanked the crowd and reminded folks that there were booths around the grounds that support local school groups. 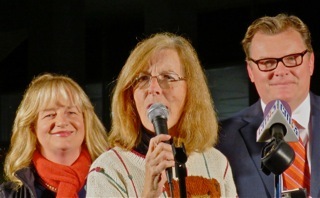 Councilwoman Sandra Genis, her two dogs in tow, also welcomed the crowd. 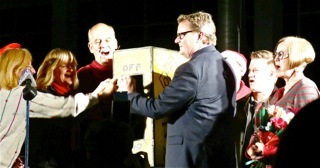 After all the palaver the assembled folks on the stage gathered around the "wireless switch" and the countdown began to illuminate City Hall. It was actually very cool. 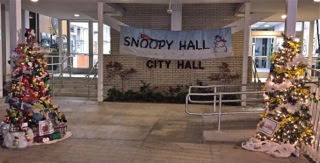 Along the walkway leading to the entrance to City Hall, er, Snoopy Hall, were Christmas Trees prepared by various city departments in a friendly little competition. 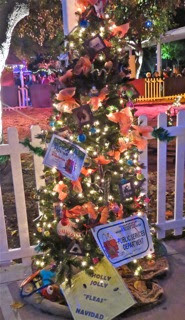 This one is by the Public Services Department, complete with doggie waste bags as decorations and the very clever "Holly, Jolly, 'Fleas' Navidad" sign. 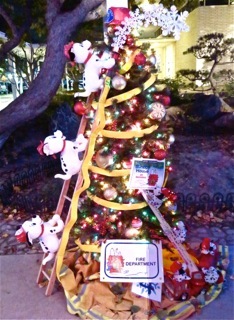 This tree, by the Costa Mesa Fire Department, was full of fun, with Dalmatians climbing a ladder, dragging fire hose to a fire. 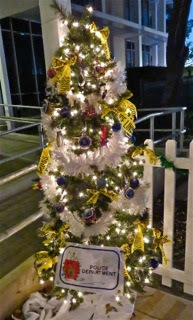 This tree, by the Costa Mesa Police Department, was very special. 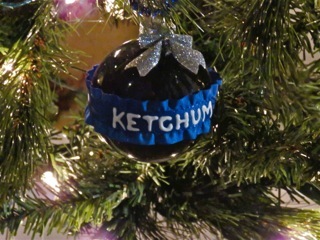 Hanging on the tree among the other ornaments were two in memory of Dave Ketchum and Mike Libolt, two Costa Mesa police officers who lost their lives, along with a civilian observer, Jeffrey Pollard, back in 1987 when they were involved in a mid-air collision with a Newport Beach helicopter. I wrote about it a few years ago, HERE. That event led to the creation of the A.B.L.E. Helicopter program, which has been abandoned by the current Costa Mesa administration. 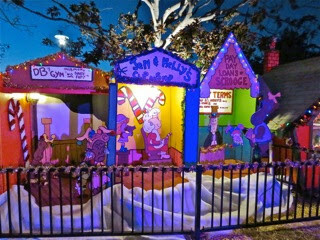 The happy crowd wandered around the grounds, enjoying the displays that have been created and enhanced by the Jordan family over the years. They were entertained by a youth band and chorus, too. 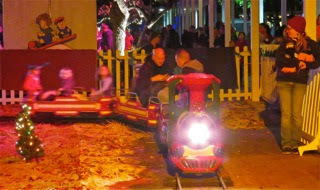 Among the most popular venues was the train rides. Children squealed as they and their parents buzzed around the track. 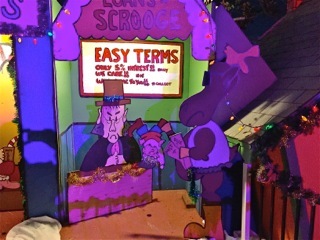 However, probably the most popular site was the "snow hill" - a new addition to the fun available at Snoopy House this year. 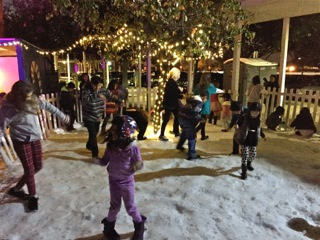 I suspect those who thought up this idea didn't expect there to be snowballs flying around the air, but that's what was happening and the kids were loving it. Another load of snow is planned for December 19th, depending on the weather. 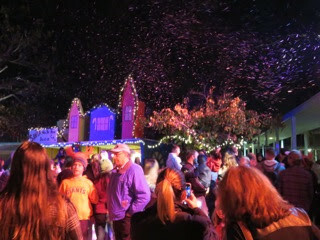 And, adding to the flavor of the evening, every once in awhile snow began to fall over the snow hill. Costa Mesa Television was on hand to record much of the fun. 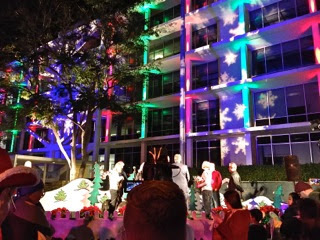 You'll be able to view the festivities on the City web site and on CMTV soon. Here Brad Long captures some of the fun moments as Jim Jordan looks on. 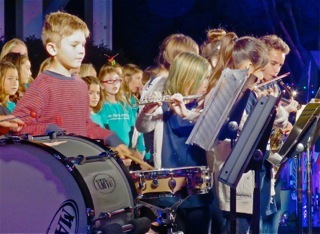 And, as you might expect, more than a few local dignitaries were on hand last night. 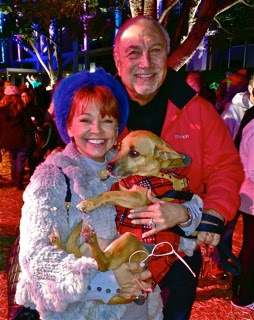 Here Orange County Fair Board member Stan Tkaczyk and his wife, journalist Barbara Venezia (along with their dog, Stasha) stopped for a photo. 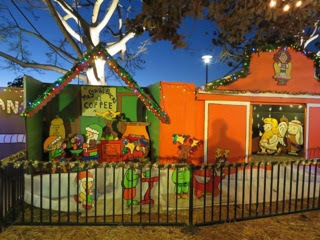 Snoopy House runs every night through December 23rd, from 5:30 - 9:00 p.m. and good old Santa is expected to make an appearance each evening from 7-9 p.m. Last year more than 80,000 people attended this fun event. 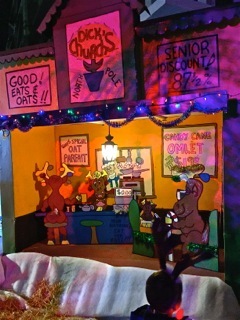 Try to carve out some time from your busy holiday schedule for a visit before Christmas. Smiles are guaranteed!